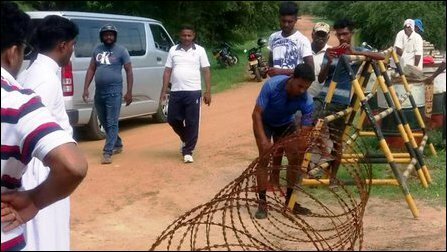 Apart from the houses and residential lands, there are hundreds of acres of agricultural lands with more than seven agricultural tanks that remain under the control of the occupying SL Navy. Churches, schools, a fisheries jetty, playground and an MPCS building are also under the control of the SL Navy. More than 200 Tamil families were living in the village, which is facing towards the Gulf of Mannaar. Musali was under LTTE administration during the times of war, and the occupying SL Army chased out the people from the village in September 2007. 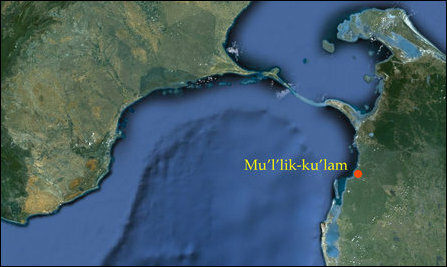 The occupying Sri Lanka Army, which had instructed the people to leave the division in 2007, handed Mu'l'ik-ku'lam over to the SL Navy in 2008. The village had become a strategic point of occupation to the Sri Lankan forces that aim to Sinhalicise and colonise the land and the historic waters of Eezham Tamils. Mr Gotabhaya declared the village out of bounds for its resettling inhabitants. The people were promised housing schemes and alternative lands with ‘state of the art’ standard by Gotabhaya and Malcolm Ranjith. Although the SL Navy constructed 27 stone houses for the owners of the 26 homes elsewhere, these houses were poorly constructed, and the people were deprived of livelihood at the alternative locality. The people were let down to languish without proper infrastructure and livelihood at Kaayaa-kuzhi and Malang-kaadu. 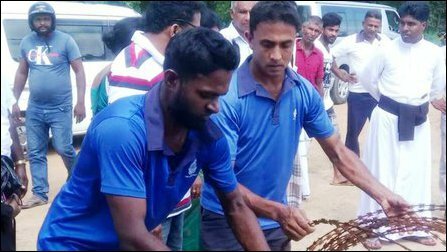 They were not even provided with humanitarian assistance or compensation as promised by Gotabhaya and Malcolm Ranjith. The people refused to be deceived by the occupying Colombo and were demanding their village back continuing to stage several protests. Finally, the people commenced a continuous protest in 2017. 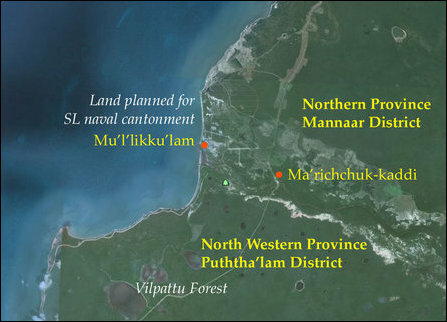 Following the mounting pressure, the SL Navy said it would consider handing over a pocket of 77 acres of the total 5,000 acres back to the people. In an attempt to contain the protest, the SL Navy allowed 50 families, who were waging the continuous protest for 38 days in March and April 2017 to move into the church. As there was no signs of returning their lands, the languishing families entered the lands in July 2018 and put up temporary huts there.